2 jumbo floor games in 1! Checkers on one side, Backgammon on the other! Extra-large checkers: 12 black and 12 red. Durable woven natural fiber rug. Features an ample 28" x 28" game area. Extra-large checkers and versatile playing surface make this game ideal for children and seniors alike. Playing surface is of a natural fiber composition. 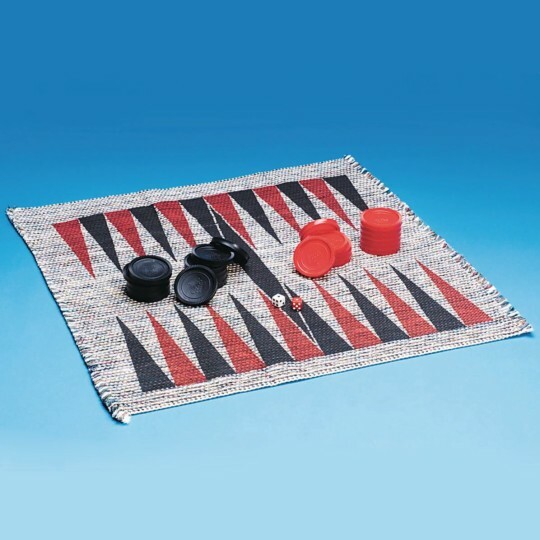 Comes with 12 black and 12 red oversized 3" checker pieces for playing checkers, 30 traditional sized checker pieces in 2 colors, plus 2 dice to play backgammon, and a 28" square "board" with checker board on one side and backgammon on the other. Includes everything needed to play checkers and backgammon. Sharing a childhood favorite with the next generation. I bought two of these for use in the library that I work in. We put them out over the winter holiday as a passive program for the kids who still visited. I now use them mostly in my after school crowd and my students love them. 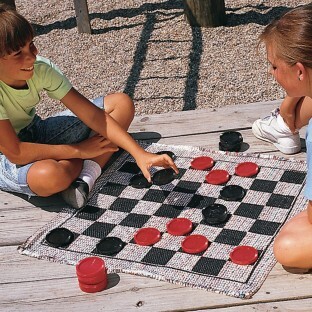 Over the winter holiday we had great relationship building when teaching the kids how to play checkers. Those same kids now teach others and have a sense of pride knowing how to play a game that others don't. It has lead to relationship building which makes me happy. I've been looking for these for a while! I teach an after school program with the library and we do gaming once a week. I am always looking for fun and excited games for the kids to use. 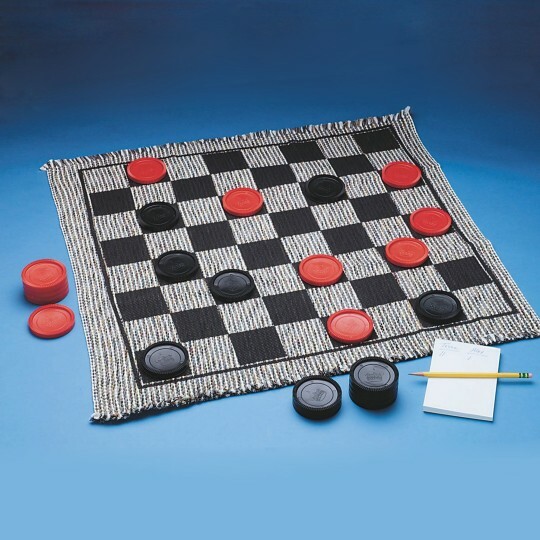 I have been looking for these larger table top checkers for quite some time. They loved the size of it. Also was made very well.